Ashok Kantoor & Co., the Twenty Five-year-old company that offers the best Professional Services to variety of clients in India and abroad. We work with dedication, in order to serve our clients efficiently and provide quality services. Ashok Kantoor & Co. is a name that provides accounting, auditing, taxation and consultancy services in various fields. The firm was promoted by CA. Ashok Kantoor, B.Sc. 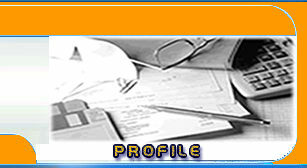 LLB, F.C.A, DISA on 01-01-1983, and is well experienced in the area of taxation, auditing, Corporate Law and allied service. We at, Ashok Kantoor & Co. have a team of experienced professionals who focus on your requirements and strives to provide you quality services. We have retained the services of Chartered Accountants, Cost Accountants, Company Secretaries and Advocates as consultants on assignment basis. a) Provide Full range of quality services in various fields. b) Carring all aspects of work with greatest degree of professionalism and excellence. c) Giving value for money for services rendered.